Share the post "Healthy Fruit Combinations And Fruit Combinations You Should Avoid"
Fruits are the richest source of vitamins and contain many essential nutrients including potassium, dietary fibre, vitamin C, and folate (folic acid); however there is a regimen to be followed while consuming them to ensure their optimum health benefits. The basic rules: Fruits should be eaten alone on an empty stomach; starches (e.g., carrots, beets, peas, winter squashes (acorn, butternut), water chestnuts, parsnips, potatoes, sweet potatoes, corn, plantains, broccoli, cauliflower) with cooked non-starchy vegetables (e.g., sprouts, leafy greens, hearty greens (kale, collards), herbs, bok choy, celery, radishes, sea vegetables, mushrooms, cabbage, jicama, asparagus, okra, cucumbers, green beans and wax beans, fennel, peppers, zucchini, green onions, eggplant, celery, onions, leeks); flesh proteins and dairy with cooked non-starchy vegetables; and nuts and seeds with raw vegetables. If you need to be careful with the amount of carbs you eat at mealtime to aid in blood sugar control for diabetes, you may prefer to not eat starchy vegetables and fruits at the same time. In this article we will talk more about fruit combinations. Is it ok to combine fruit and milk? What happens when you put lemon in milk? It curdles, right? The sourness of the lemon will cause milk to go sour. Even if you add salt to milk it will curdle. So, really you can combine milk with only sweet and ripe fruits. For example, a ripe sweet mango, raisins and dates can be combined with milk, but the berries – not. When you add the berries to your milk, it might not curdle right away but it will in your stomach, and that might lead to indigestion or other digestive problems. Eat your fruits and drink your milk, but better separately. Allow at least one hour (better three hours) in between the consumption of the fruit and milk. What about bananas and milk? Ripe bananas are sweet in taste but it changes by the time it reaches your stomach and becomes sour, therefore you will likely feel heaviness afterwards. If you are feeling heavy, then you are having indigestion. So, banana is really an exception to this rule. Yogurt and other cultured diary products are ok to have with fruits. ► Banana and pudding – this combo creates stomach heaviness in adults, slowing down the mind and increasing the production of toxins. In case of infants, it may be fatal. ► Orange with carrot – although this combination is very popular in places where they sell natural juices, intake of both at once produces heartburn, excess bile reflux and heartburn, as well as damage to the renal system, which is the origin of more serious diseases. ► Pineapple and milk – this combination might cause stomach gas, nausea, headache, and stomach pain. You can also develop an infection or experience diarrhea. ► Papaya with lemon – this combination makes you develop anaemia and problems with your haemoglobin (protein in your blood), avoid it at all costs and please do not risk giving it to your children. ► Guava and banana – they will cause gas and acidosis, thus you will start feeling nauseous and heaviness, headaches, and stomach pain. ► Orange with milk – if you are someone who accompanies the cereal or oatmeal with orange juice stop it. Orange makes your stomach unable to process the starches present in the cereal. In addition, when orange juice and milk are mixed in the stomach it is difficult to digest, especially for children. 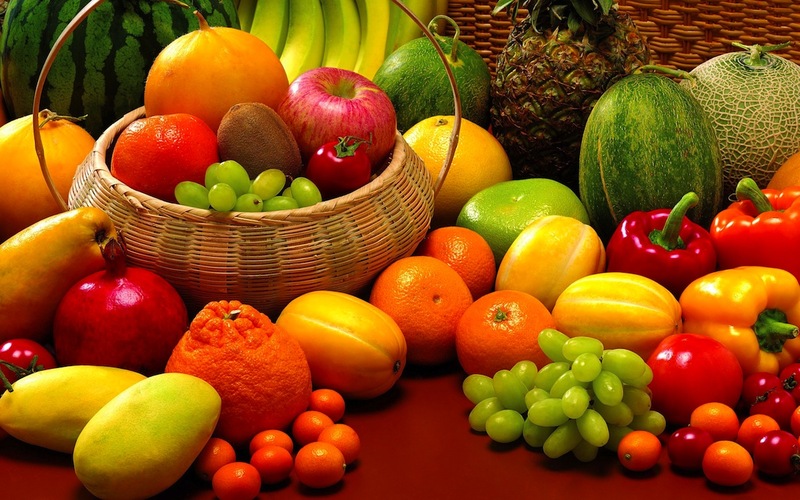 ► Vegetables and fruits – fruits have more sugar, thus vegetables cannot be digested properly. They stay in the stomach while the fruit ferments and produces more toxins, causing ailments like stomach pain, gas, infections, diarrhea, and even a headache. Fruits tend to have more acid, so that it literally breaks down and cuts the nutritional value of the vegetables. But, there is an exception to the rule. Apples (which is a fruit and vegetable), bananas (which is a fruit and an herb) and carrots (which is a root and a vegetable) are exceptions to this rule. Apples and bananas can be combined with vegetable meals and juices/smoothies, and carrots, just like any other root can be mixed with fruit meals and juices/smoothies without it affecting the nutritional value (just avoid orange/carrot combination). Separate acid from sweet. Skip the standard fruit salad as it is usually a digestion-slowing mix of melon, apple, pineapple, banana, and strawberry. Instead, make a berry bowl using blueberries and raspberries. Fruits can be mixed with their own kind. ► Sweet fruits – they don’t contain acids and those are: peach, apple, These fruits are more concentrated and take longer to digest. They’re not the greatest of cleansers, but provide minerals and concentrated sugars. Approximate digestion time: 40 to 60 minutes. ► Acid fruits – these fruits are rich in citric acid: blueberries, kiwi Acid Fruits have the most fiber and are rich in antioxidants. Approximate digestion time: 20 to 30 minutes. ► Semi-acid fruits (sub-acid fruits) – these fruits have low levels of acidity: strawberry, raspberry Approximate digestion time: 30 to 40 minutes. Acidic fruits like grapefruit can be hard on the stomach. In that case, you can mix in a sub-acid fruit like blueberries. Subacid fruits—sweet apples, apricots, cherries, mangoes, nectarines, pears, papayas and berries—can mix with either acid or sweet fruits. ► Neutral fruits (fatty fruit, nuts & seeds) – they have more protein, vitamins, salts and oils. Always remember that the simpler the meal, the simpler the digestion. Meals with a few ingredients will allow the body to digest the foods properly and assimilate all the available nutrients. If in case you have any doubts you can freely consult a nutritionist.